The API of the Dutch Public Broadcasting is now extended with thousands of items, program information and subtitles of Schooltv. On 14 November, a hackathon takes place where developers and open data enthusiasts will work with data of the Dutch Public Broadcasting. In the past year, the amount of data available about television programs of public broadcasting has grown enormously. Meanwhile, more than 250,000 items, program and subtitles are made available in an API. The supplement today with 8,615 items, program information and associated subtitles from Schooltv is another milestone. Along with information on the television programs themselves, you can find information about age groups, more than 50 categories of subjects (‘technique’, ‘animals’, ‘learning’) and how often the content is viewed on schooltv.nl. NPO Backstage is an initiative of the Dutch Public Broadcasting to investigate which innovative applications are possible with open data. The data that the NPO has made available in the NPO Backstage API consists of over 250,000 items, including thousands of fragment descriptions, guest lists and subtitles. The data includes information about all journalistic programs of public broadcasting, together with guide data from 41 national and seven regional TV and radio stations. 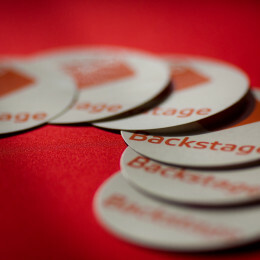 The NPO Backstage Hackathon will be held on November 14 at the restaurant BNN VARA at the Media Park in Hilversum and is organised in collaboration with the Open State Foundation.